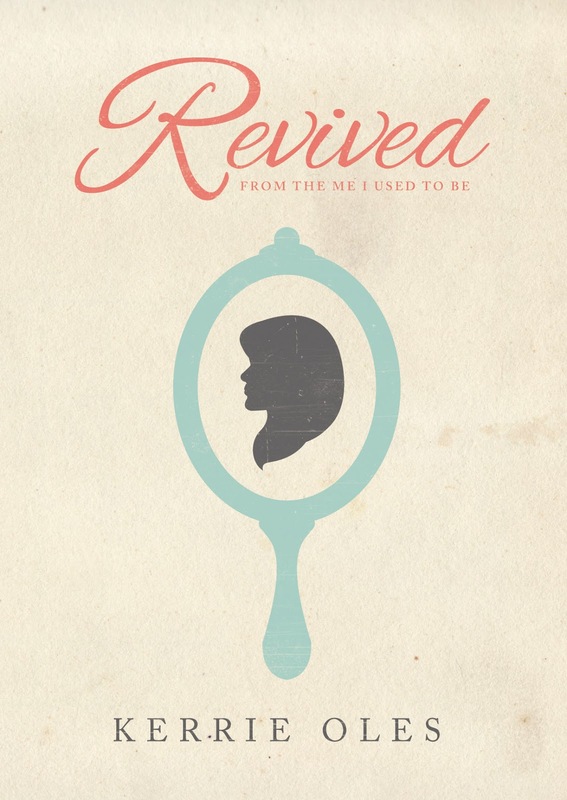 I read Kerrie's second book Revived over the last week, and it is phenomenal. I can't even describe it -- so I'll let Kerrie's book descriptions tell you about them, but you simply MUST pick up a copy or put it on your Christmas list! If you only choose one for now, I'd pick Revived and start there. Her newest book is out for pre-order, but it won't deliver until February 1st. Kerrie is my sister's best friend, and just an amazing woman. I've heard her stories, I've been in her home. I've even had the pleasure of having Kerrie pray over me at my nephew's coming home party. To know Kerrie is to love her, and I sincerely hope that I can make it to one of her Revived Conferences at some point in my life. The grace of God can completely transform an ordinary life, for an extraordinary purpose. This is the liberating message found in this book and in Kerrie Oles life and ministry. In Invisible Chains, Kerrie and Olivia wrote the inspiring and encouraging story of Kerrie's own departure from living in the shame of her past to discovering what it means to live a life covered in God's grace. Readers will see: - how being a prisoner to the past can hold them back from a promising future - that discovering the grace of God can set them free from a life of shame This book reveals that the chains of our past weigh us down and keep us from knowing how truly loved we are by God. It is an invitation to receive the grace of God and step into the call on your life. Come with me. Let Jesus take your hand. No matter who you are or where you’ve been, you’ve experienced pain in your life. He can heal it, bringing life where there was death. Jesus brought life everywhere he went; it seems he couldn’t help it. And not only did He raise dead bodies, He sought out those who were dead on the inside. He took their hands, and He healed them. He revived them. Let Him take your hand. Let Him pull you to your feet—alive. Revived. You can order your copy here. This book also has a study guide that you can work through as well that you can order from Kerrie's shop as well. 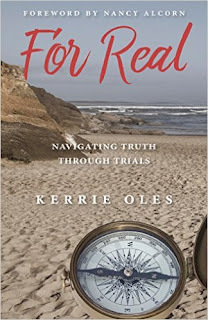 In For Real, author and sought-after speaker, Kerrie Oles helps us understand how to navigate through the turbulent seas of this life with great faith. She offers life-transforming insights how God will reveal His faithfulness and build our faith through each and every trial. How do we take an age old story, and make it real to us? Kerrie Oles, does just that. As she journey’s with a humorous style through her life, others, and the life of Job. Her stories and spiritual wisdom will inspire readers to listen for God and apply His Word and encouragement to their lives. Job’s story is all of our story. We suffer in this life, but inside each of us is an overcomer, that can grow from hurtful experiences, and be equipped and empowered to help others. And, along the way, to our destination, it will build great faith! Come with us. Get on board, let’s journey to being-For Real.